Determining the ecological needs of the coastal patch-nosed snake is essential for its long-term survival. The level of endangerment of this local snake increases annually with continued loss of its highly endangered coastal sage scrub habitat. To date, there has yet to be a study of any ecological aspect of the life history of the coastal patch-nosed snake and no scientific publications exist on its biology. Of the 1,800 acres that comprise the San Diego Zoo Safari Park, 800 are part of a Biodiversity Reserve that supports large expanses of coastal sage scrub vegetation. This natural habitat is extraordinarily high in native species diversity, including 24 mammal, 179 bird, 28 reptile, and 4 amphibian species. The area supports 16 species of native snakes - more than have been found at any other site in coastal Southern California. 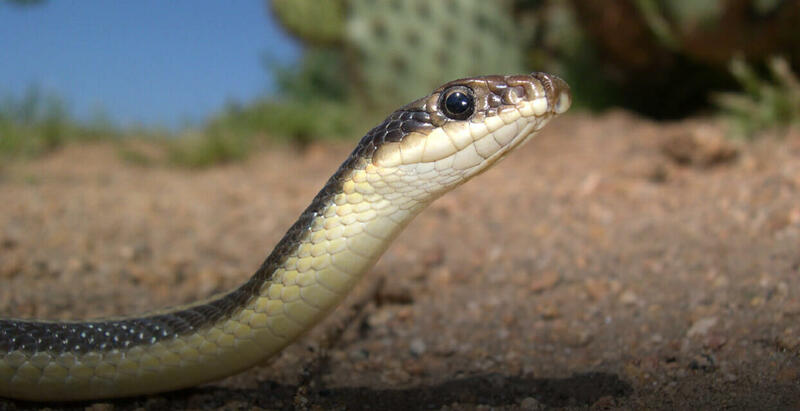 Researchers in Population Sustainability have been observing patch-nosed snakes for many years and now have a database of 81 marked individuals in the Reserve. At the same time, our Plant Conservation team has been restoring coastal sage and cactus scrub in the Reserve since 2010. This restoration project, paired with our monitoring and research efforts, will provide valuable new information on the ecological needs of this elusive snake. Veterinarians from the Safari Park’s Harter Hospital will implant radio transmitters in 20 adult snakes that will allow us to track their movements and GPS locations over a two year period. Weather conditions, behavior, temperature, habitat, and plant type will be gathered for each snake location logged. All snakes will have a thorough health assessment and biological samples collected over the duration of the study by Safari Park veterinarians, which will in turn be analyzed by researchers in Disease Investigations. Results of our study will provide our partners in government and land management with the information they need to effectively conserve this ecologically important species.